Made with 100% pure and natural longan honey. 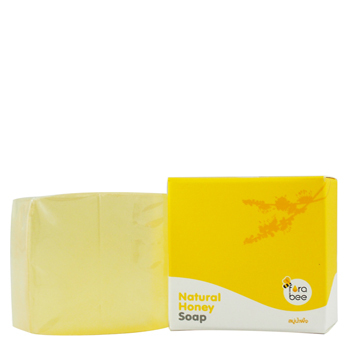 Excellent for moisturizing dry skin, while making it soft, smooth and refreshed with the sweet scent of honey. This unique cleansing and softening bar is as simple and pure as a soap can be with no artificial colors or fragrances added , making it perfect for even the most sensitive skins - a fabulous gift for all ages. Apply the soap daily to face and or body and rinse well. Avoid contact with eyes.